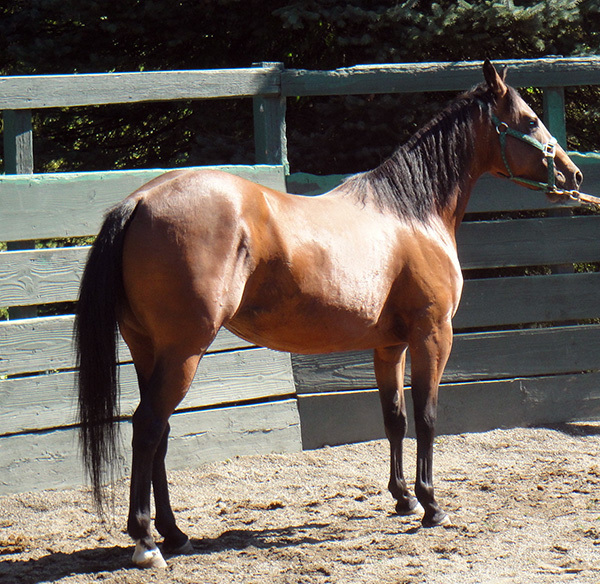 This special bay mare was adopted in July of 2018. 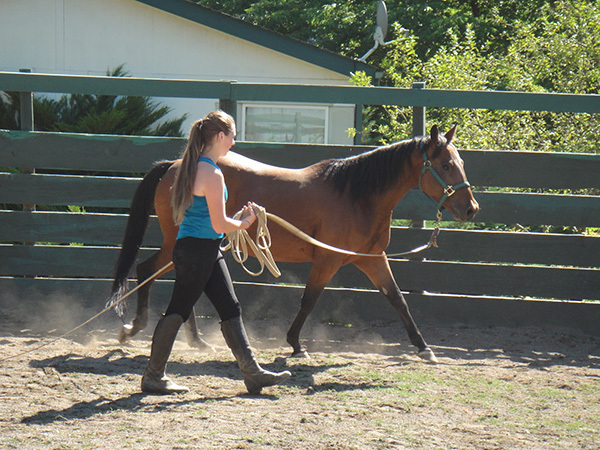 Lissa has been a favorite of many volunteers due to her sweet nature with her handlers. 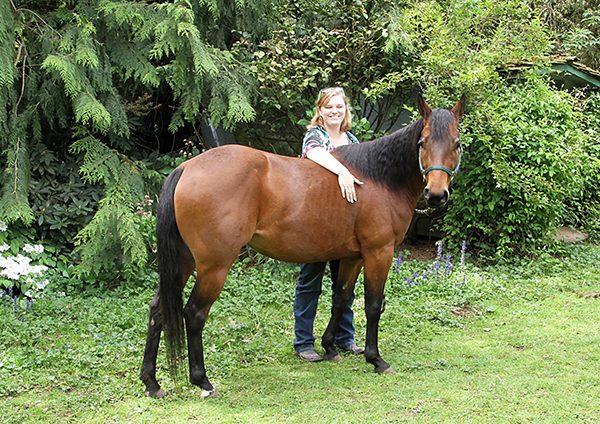 She was donated to Equine Aid after purchase from a kill pen. 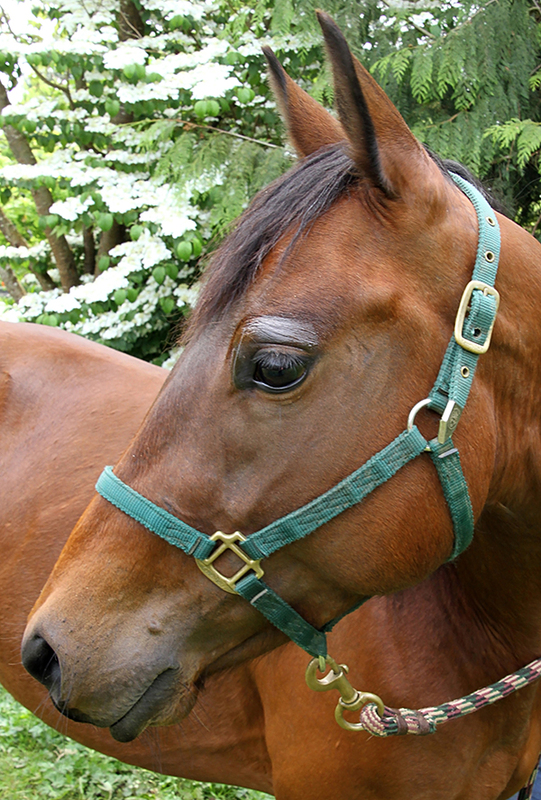 We know very little about her other than that her trainers feel that at some point in her life prior to arriving at Equine Aid she had been haltered and handled. 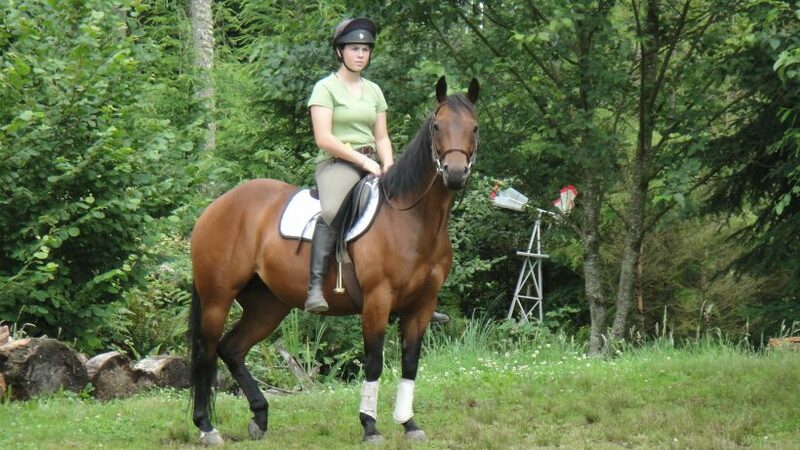 She was a handful at first as she would aggressively evade round pen work. Looking back, it is difficult to recall those first months as she is now reliably gentle to handle for grooming, hoof trims and for the vet. 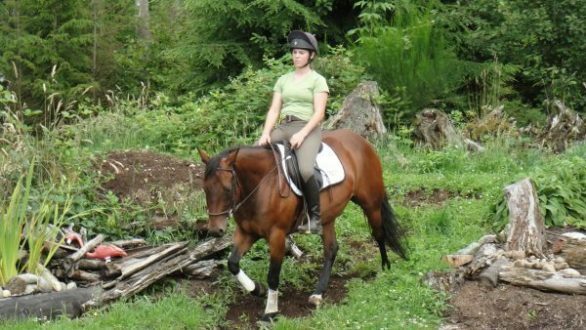 Lissa was worked in the round pen and ridden consistently while at Equine Aid.